These three were once the best of the Crystal Warriors, implemental in the calling up of that horrible weapon, so devastated by its power and effect they scattered to the far ends of the earth. But now the urgency of the Crystal calls upon them to face their own personal demons, traverse vast distances against mystical forces not seen for centuries, and answer the call of the Crystal. 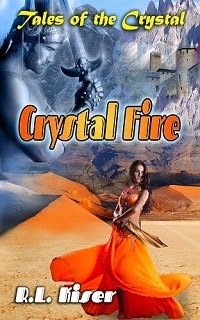 Will they unite and overcome the forces aligned against them in time to save the Crystal? Tarina, known as Awiel of the Dance, must travel the southern desert through a treacherous maze of canyons and bandits. Rowan, in the guise of an old woodsman, former Captain of the Crystal Warrior Elite, must be convinced to return from his self-imposed exile. Macon is a besotted drunkard who must pull himself together to become the powerful Crystal Warrior he once was. Many others, most of whom are much more than they seem, must overcome tremendous odds and long distances to answer the urgent call of the Crystal.